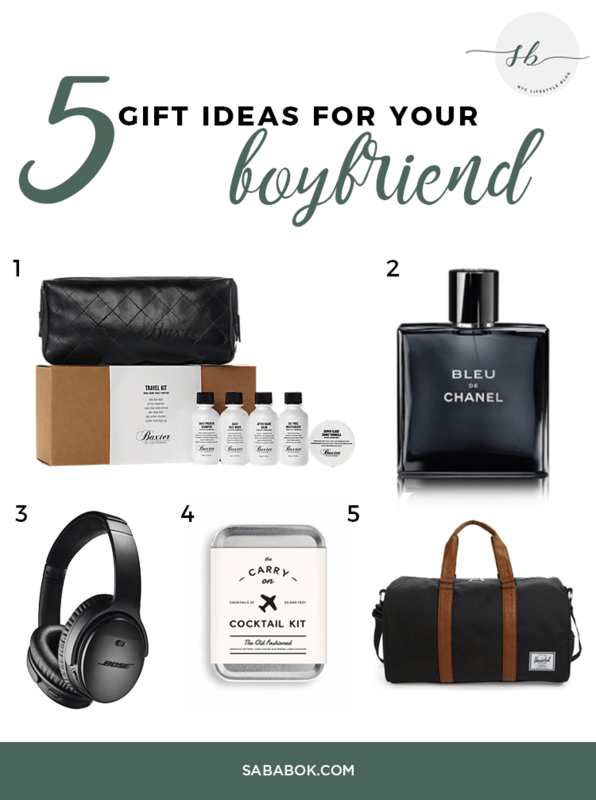 Ever find that men are the trickiest to shop for, and are you totally stumped on what to get him this Christmas? Here are some gift ideas for your guy! 1 / Baxter Travel Set: Give your man the gift of great grooming on the go with this Baxter travel set complete with TSA-approved travel bottles and a dopp kit. 2 / Bleu de Chanel: Tell him to ditch the AXE body spray and introduce an upgrade: this clean citrusy/woodsy Chanel cologne will instantly elevate any man. 3 / Bose Headphones: I swear by these and I’m sure he will too! Bose wireless headphones are my ride-or-die. They’re a must have for travels, long commutes, or drowning out annoying colleagues. Plus, these have great sound quality for the price. Here’s to hoping you found a gift perfect for him <3.